Dr. Mark Robinson, business professor at VIU, always finds ways to take theory to practical application for his students. Every spring semester, his BUSS 480 students are exposed to local entrepreneurs who are willing to share their business ideas and the skills they utilize in operating their businesses. 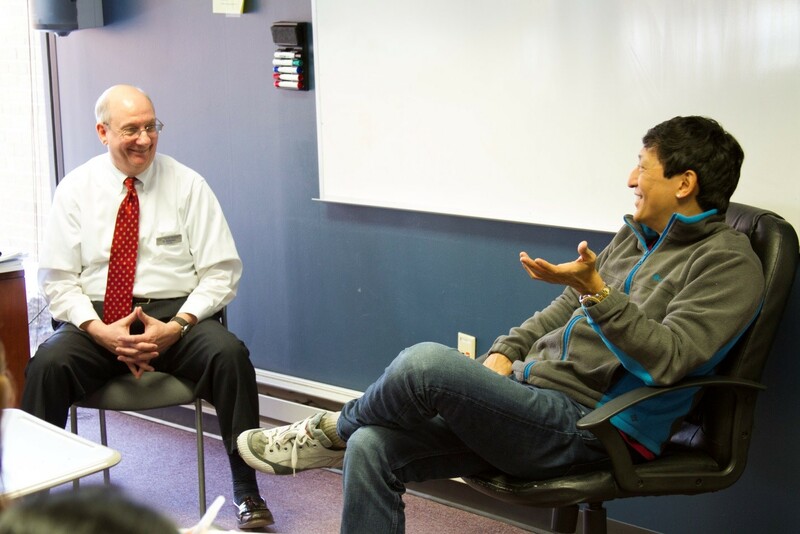 On February 24, 2015, international comedian Dan Nainan – whose heritage is half Indian and half Japanese – visited Dr. Robinson’s BUSS 480 class where students are working to create a business plan for Mr. Nainan’s latest venture: the Clean Comedy Club. Mr. Nainan, a former technology expert at Intel, is now an ambassador for clean comedy. He candidly discussed the advantages and disadvantages of running a comedy club and the current situation of entrepreneurship in the US. To learn more about Mr. Nainan, visit his website at http://www.danielnainan.com/.